'You know you're in for a treat when you open a Jenny Oliver book' Debbie Johnson Welcome to Cherry Pie Island – once you step on to the island, you’ll never want to leave! Socialite Emily Hunter-Brown has just bought the old manor house on Cherry Pie Island – and her friends think she’s gone mad! 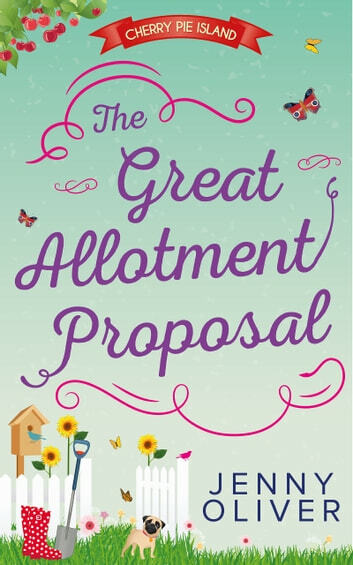 Still, they should have known that wild-child Emily will try anything once…even settling down! 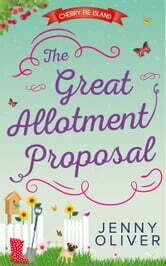 But when Emily discovers she has an allotment to take care of as well as the crumbling mansion, she’s unexpectedly flummoxed! It’s all very well knowing that you have to swap your high heels for Hunter wellies….but it’s quite another actually getting dirt underneath her Chanel Rouge Noir polished nails? And what is she supposed to do with her bumper crop of courgettes anyway?! The Cherry Pie Island series The Grand Reopening of Dandelion Café – Book 1 The Vintage Ice Cream Van Road Trip – Book 2 The Great Allotment Challenge – Book 3 One Summer Night at the Ritz – Book 4 The Grand Reopening of Dandelion Café is Book 1 in The Cherry Pie Island series. Each part of Cherry Pie Island can be read and enjoyed as a standalone story – or as part of the utterly delightful series.